She is the author of the Loon Lake Mystery Series -- DEAD ANGLER, DEAD CREEK, DEAD WATER, DEAD FRENZY, DEAD HOT MAMA, DEAD JITTERBUG, DEAD BOOGIE, DEAD MADONNA, DEAD HOT SHOT, DEAD RENEGADE. DEAD DECEIVER, DEAD TEASE, DEAD INSIDER, DEAD HUSTLER, DEAD RAPUNZEL, DEAD LOUDMOUTH and DEAD SPIDER, seventeenth in the series, which was published in June 2017 in hardcover, trade paperback and as an eBook from Simon & Schuster. The mysteries are set in the Northwoods of Wisconsin against a background of fishing – fly fishing as well as fishing for muskie, bass, bluegill and walleyes. Houston’s mystery series was featured in a story on the front page of The Wall Street Journal (January 20, 2004) and on NPR’s “Talk of the Nation with Neal Conan” (February 2, 2006). Both can be seen/heard on the website: www.victoriahouston.com. She has also written or co-authored over seven non-fiction books. An award-winning author specializing in family issues, Houston’s non-fiction books include the highly recommended ALONE AFTER SCHOOL: A Self-Care Guide for Latchkey Children and Their Parents (Prentice Hall, 1985); the national bestseller, LOVING A YOUNGER MAN: How Women Are Finding and Enjoying a Better Relationship (Contemporary Books (1987); Pocket Books (1988); MAKING IT WORK: Finding the Time and Energy For Your Career, Marriage, Children and Self (Contemporary Books, 1990) -- which was published by Simon & Schuster's Fireside imprint in August 1991 as a trade paperback titled MAKING IT WORK: Creative Solutions For Balancing Your Career, Marriage, Children And Personal Life. Houston co-authored RESTORE YOURSELF: A Woman’s Guide to Reviving Her Libido and Passion for Life (The Berkley Publishing Group/2001) with Dr. James Simon, a Past President of the North American Menopause Society. I was born and raised in Rhinelander, WI, in the heart of the fishing culture that backgrounds my mysteries. I grew up fishing for walleye and bluegills and muskie – and when I turned fifty, I learned to fly fish! I’ve always had an aptitude for writing (not singing, for sure as the nuns at St. Mary’s told me to "just move your lips") and won a full scholarship to Bennington College in Vermont. Went on to have three children, marry and divorce twice. My second husband was 9 years younger, hence my non-fiction book, LOVING A YOUNGER MAN. We broke up for reasons that had nothing to do with the age difference. After a decade of magazine and newspaper feature writing – the source of my non-fiction books -- I directed promotion and publicity for Andrews & McMeel/Universal Press Syndicate during which time I had the privilege of working with outstanding writers and cartoonists such as Abigail Van Buren, Gary Larson, Erma Bombeck and Garry Trudeau. Later I joined Jane Mobley Associates, a public relations firm based in Kansas City. I moved back to Rhinelander in 1996 (having been gone for over 30 years) where I now hunt, fish and write mysteries. Over the years, I have published 24 books – a fact that surprises the hell out of me as I never finished college. I am just starting my 14th Loon Lake Mystery. My influences are the happenings in the world around me and I continue to be a fanatic newspaper reader devouring The New York Times and Wall Street Journal daily. My favorite authors are Willa Cather, Edith Wharton (Rhinelander is named after her uncle who brought the railroad through in late 1800s), early Hemingway and early John Updike, Raymond Chandler and Ross Thomas. Growing up I was an avid Nancy Drew/Agatha Christie fan. Oh, and G.K. Chesterton’s Father Brown series, too. I also enjoy biographies such as the one about Steve Jobs. And poetry! I don’t think I could get through the day without some Mary Oliver and Billy Collins to name a few. And I love movies -- Argo, Zero Dark Thirty, Silver Linings Playbook, The Descendants, Pulp Fiction and Gone With the Wind – and music. Favorites range from Elvis, the Beach Boys, Roy Orbison, Bob Dylan and the Beatles to Adele, Emmy Lou Harris, Avett Brothers, Sea Wolf and Aimee Mann. Classical music and jazz round out my listening. When it comes to the books, I have always worked on a Mac. When not writing, I run, play tennis and do Pilates. Oh, and I fish!! In her teens and 20s, mystery author Victoria Houston was the classic hometown girl who couldn't wait to leave her small Wisconsin town. Now, more than 30 years later, she has not only returned to her hometown, Rhinelander, but she has based her popular mystery series in the region's fishing culture. In fact, while Houston, 56, has changed course many times in her life, her travels and experiences seem to have led to only one logical conclusion: writing. 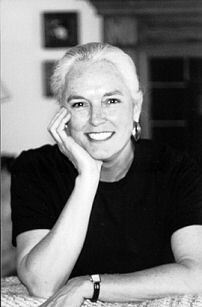 Today, after being married twice, raising three children, having a successful career in publicity and promotions and writing five nonfiction books, Houston has reinvented herself yet again, this time as a mystery writer. This new phase is marked by focus and quiet, she says. It's also marked by the success of the mystery series (including the books "Dead Angler" and "Dead Creek"). The third novel, "Dead Water," has just been released. The series features a retired dentist and avid fisherman, Doctor Osbourne, as its protagonist. The doctor - who lives in a small mythical northern woods - often helps his friend and love interest Lewellyn Ferris, the local female chief of police, solve mysteries that revolve around fly and bait fishing and the deep waters of the North Woods. Houston says the lakes and culture of northern Wisconsin make for a great setting for her novels. "I realized this is a culture I grew up in," Houston says of her use of fishing in the novels. "The world of fishing is home to me." Indeed, Houston fished as a child and now fishes again regularly. In addition, her father, grandfather and uncle were all dentists. "My characters are distilled from all those characters I knew as I grew up," she says. In her early 40s, Houston made her first attempt to write the novel. At her agent's behest she rewrote it - four times. Then she took a hiatus from writing and started attending a fiction writing course to "focus on the craft and conventions of mystery writing." The class had one assignment: write autobiographies of characters in the first person. "I realized that what we were struggling with here is showing, not telling," she explains. After a year, Houston tried writing her novel again. She submitted a 50-page sample for critique through the Mystery Writers Association of America. It was set in Kansas City but somehow, about 45 pages later, the mystery had moved to northern Wisconsin with a man sitting quietly, fishing, on a lake. Her writing mentor hated the Kansas City part, loved the Wisconsin portion. From those few pages, Houston wrote "Dead Creek," the second book in her series. Today, in addition to "Dead Water," Houston has a new contract for books four and five in the series. She also has a nonfiction book coming out in December titled "Restore Yourself: A Woman's Guide to Reviving Her Sexual Desire and Passion for Life." She likens life to fishing, saying that just as when you cast your line you don't know what you might end up catching, life often throws you unexpected opportunities. It's obvious Houston likes it that way. Heather Lee Schroeder is books editor for The Capital Times. © 2006-2013 Victoria Houston, all rights reserved.